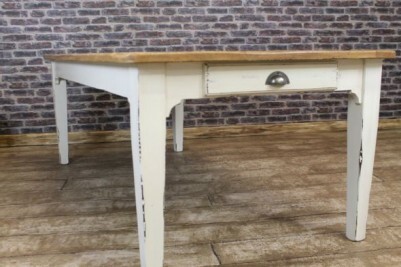 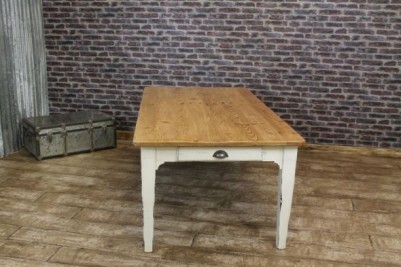 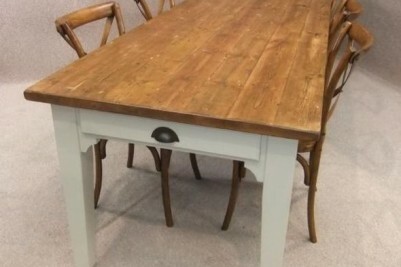 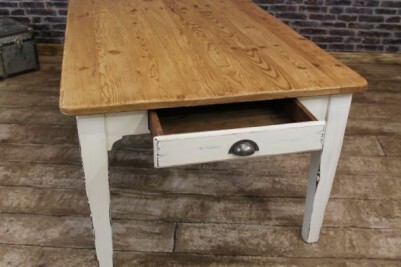 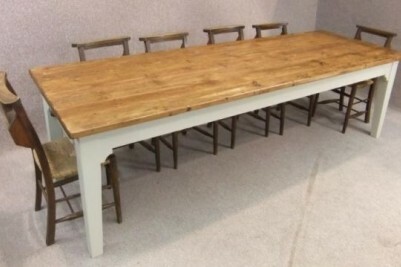 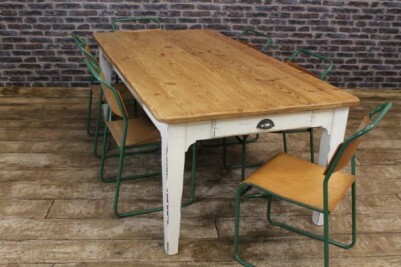 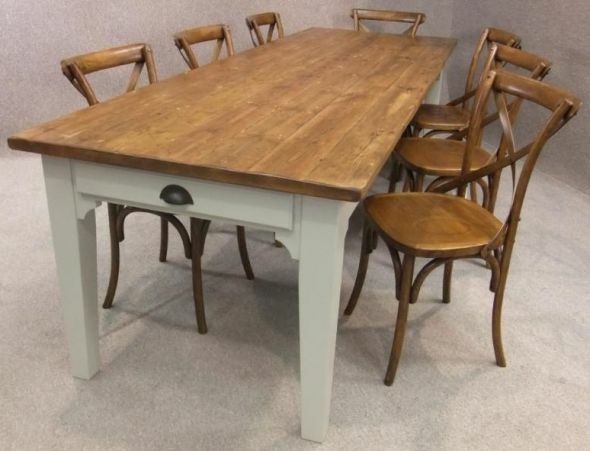 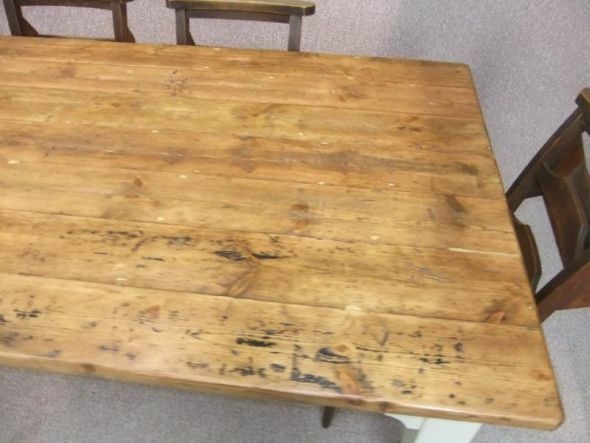 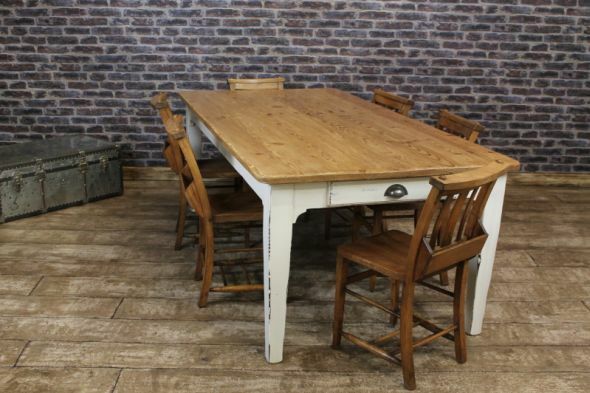 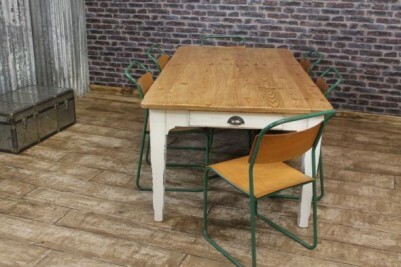 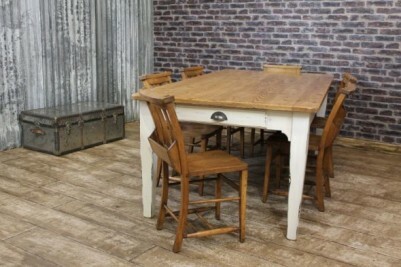 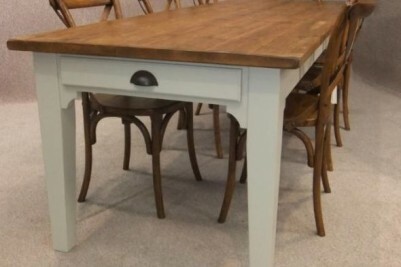 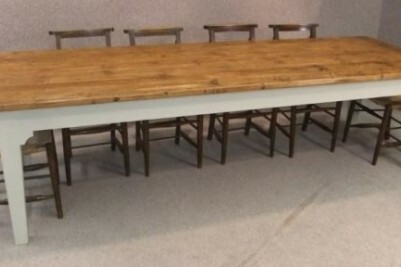 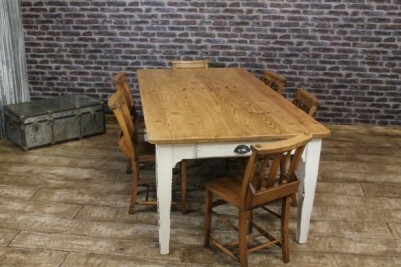 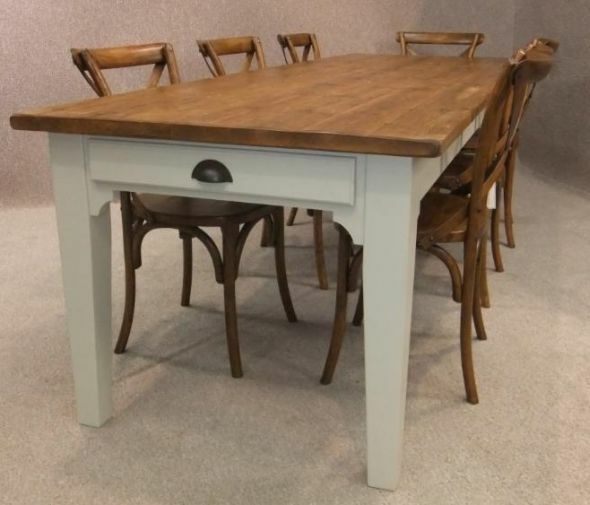 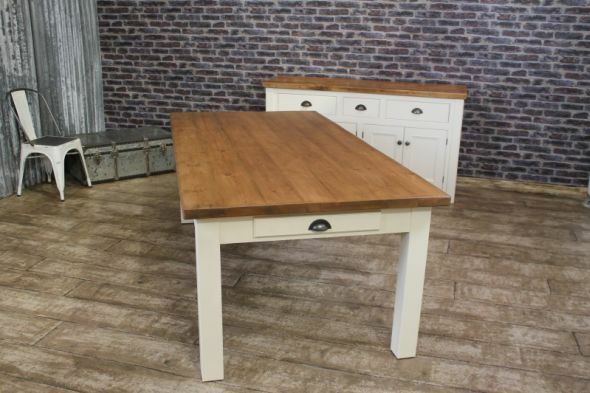 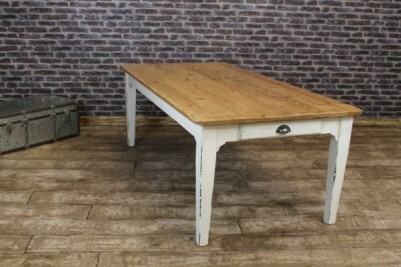 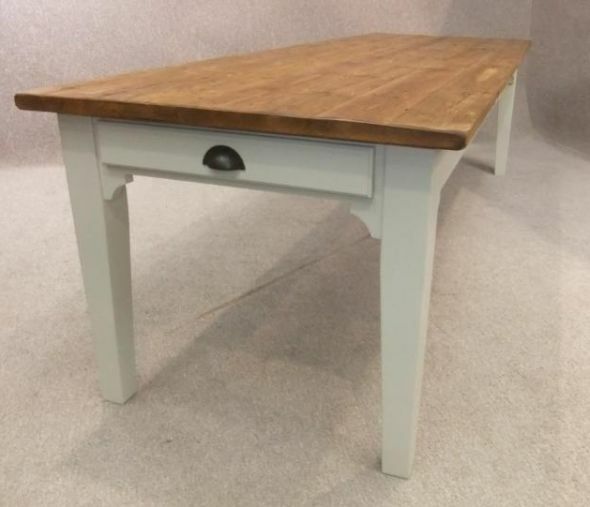 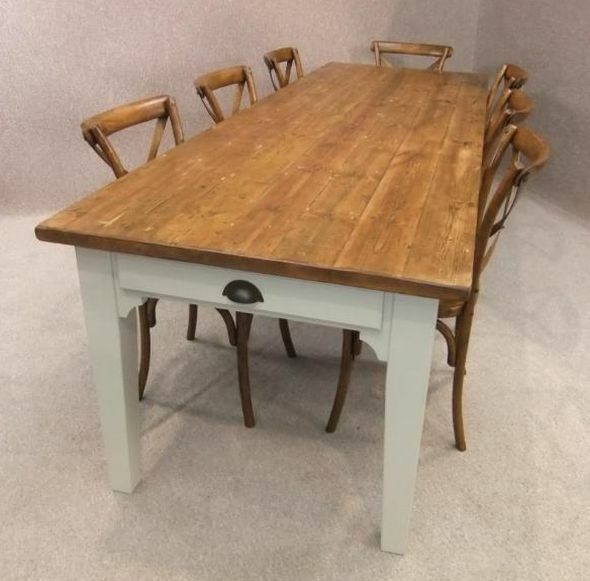 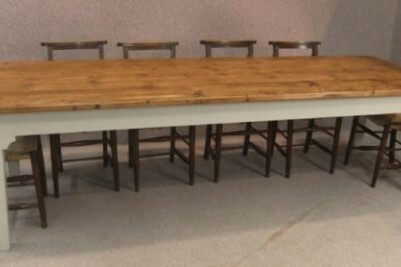 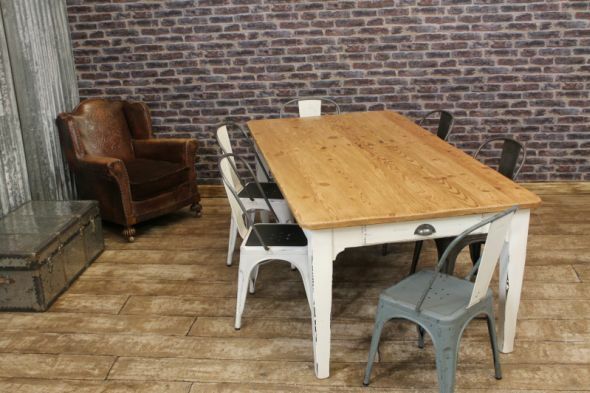 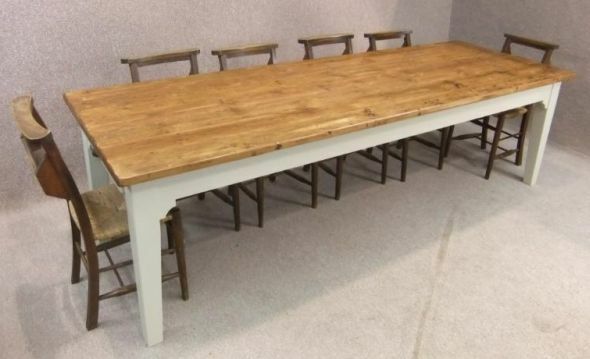 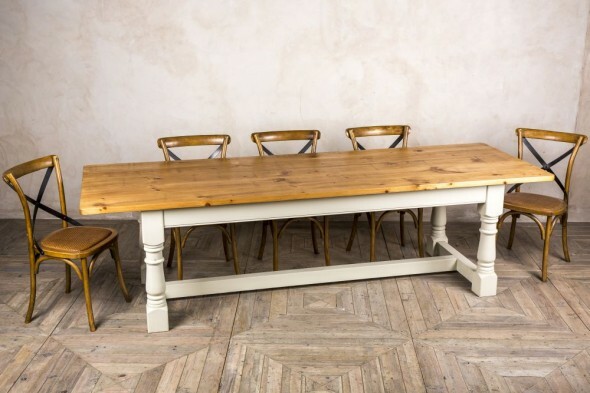 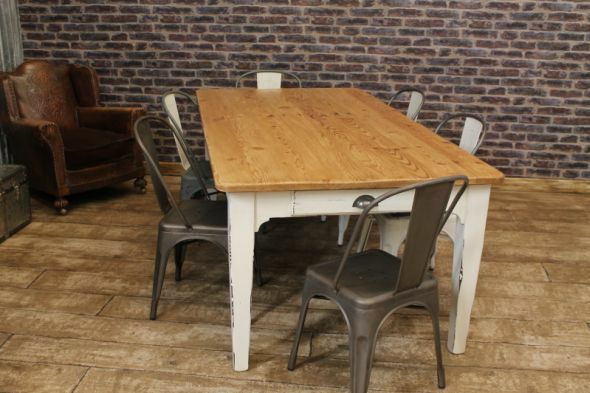 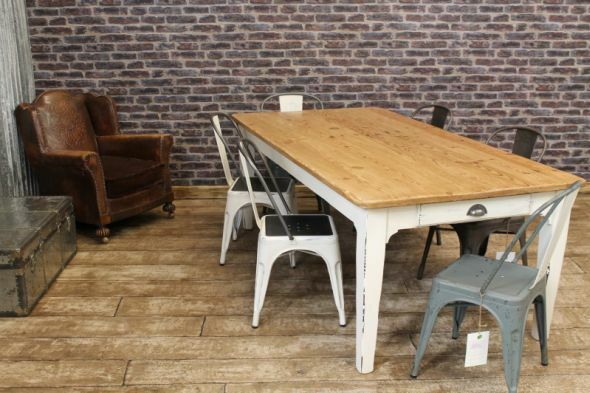 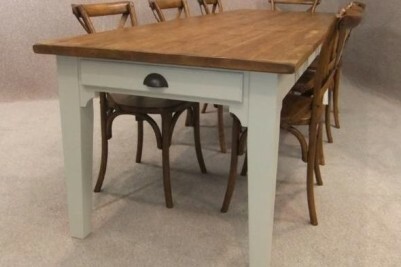 This country farmhouse table is a fantastic addition to our large range of country style farmhouse tables. The superb-quality ‘Cotswold' farmhouse range of tables features all the characteristics of classic English design. 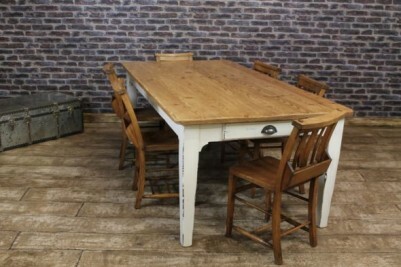 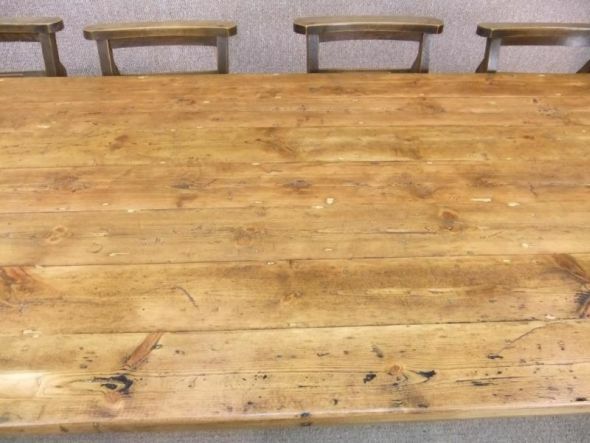 These reclaimed pine tables, made in the UK by British craftsmen, are available in many different styles and can be made to your specific requirements: as long or short, or as wide or narrow as you like (prices vary). 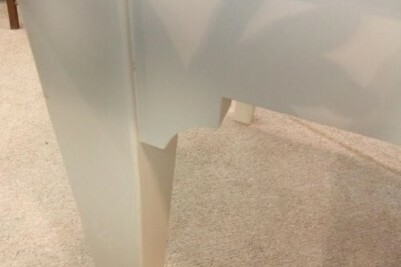 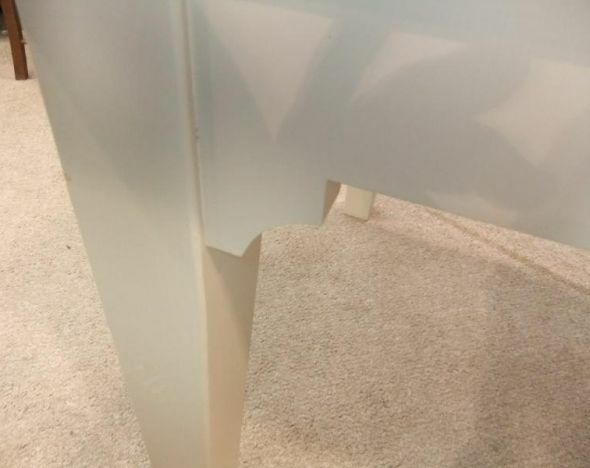 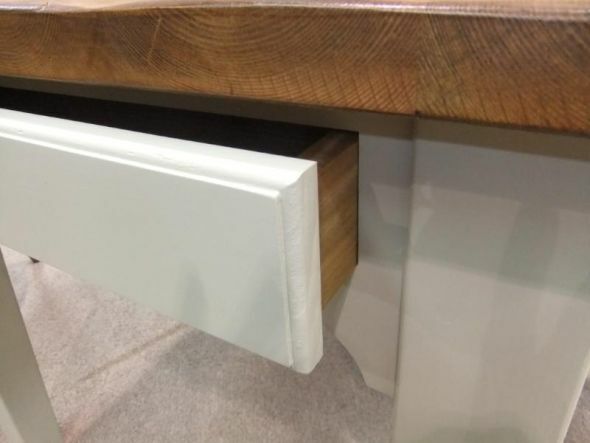 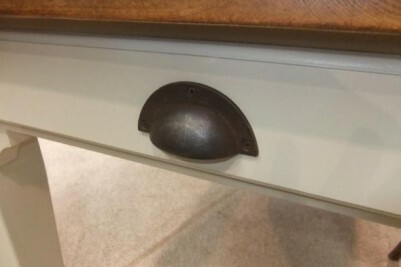 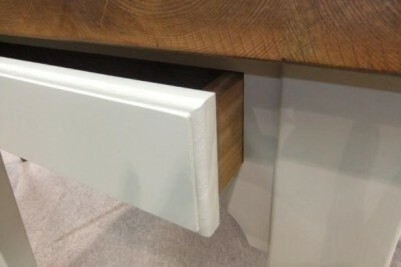 Drawers can be added to the ends or to the sides at an additional cost. 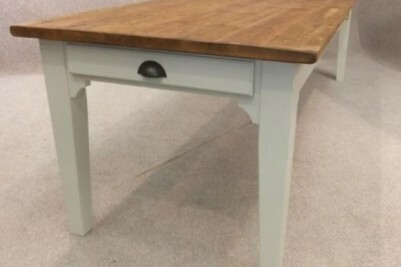 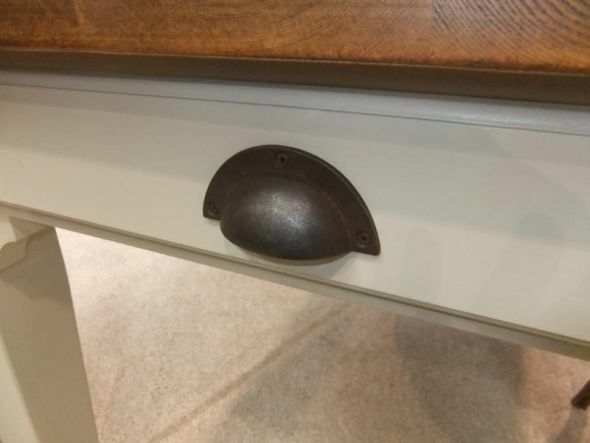 We can also paint the table bases with any Farrow & Ball paint colour to complement your interior. 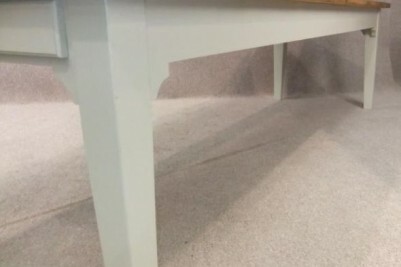 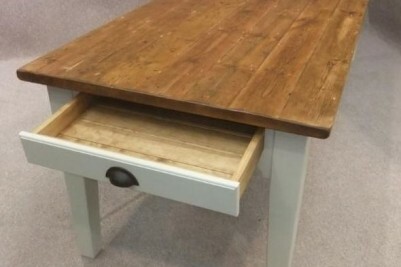 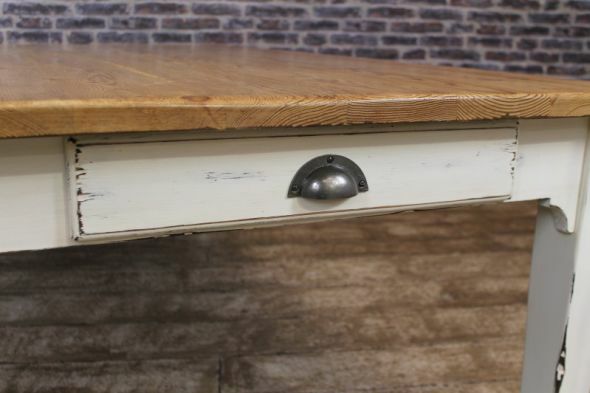 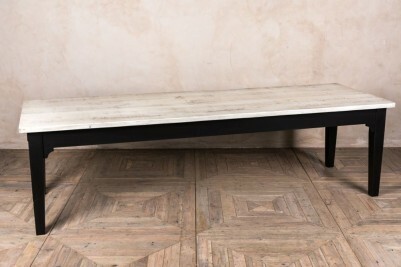 These tables are supplied with a waxed top as standard. 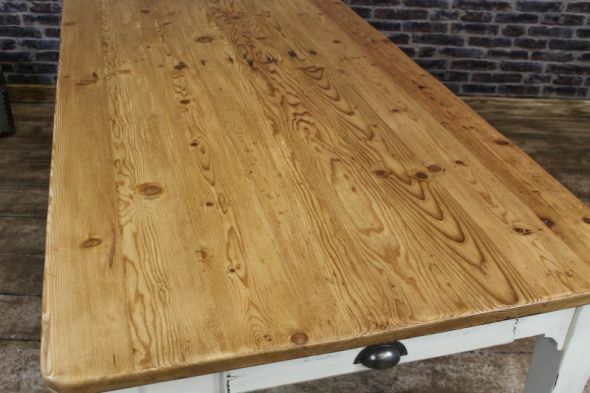 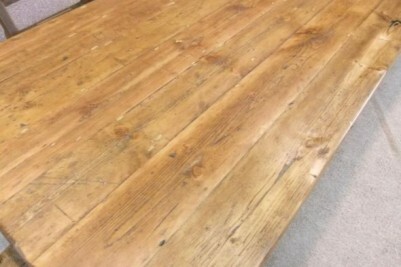 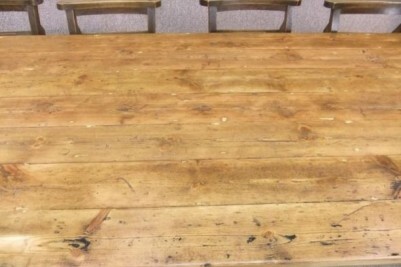 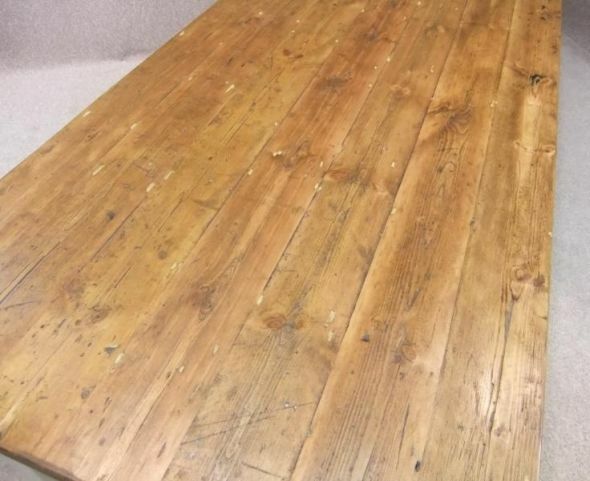 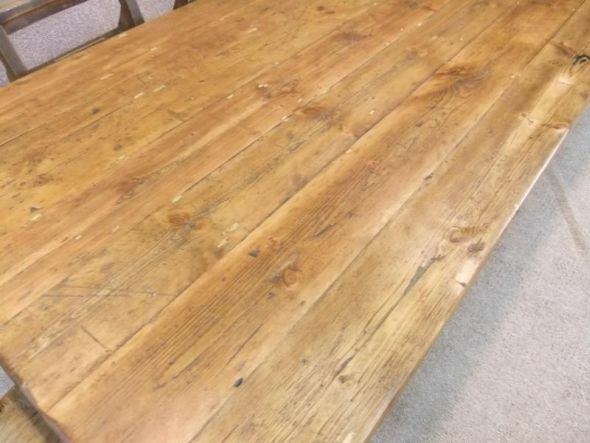 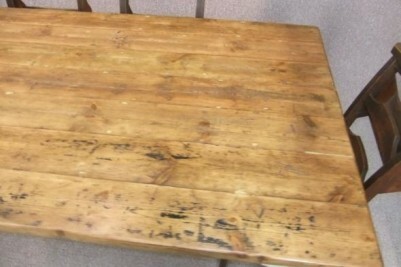 If you require an oiled table top, there will be an additional charge of £50.00; this includes the coloured oil top pictured in the main image. This top can be oiled to coordinate with any Farrow & Ball colour. 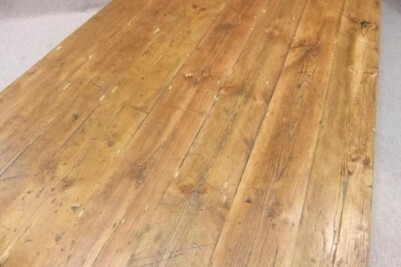 Please see the bottom grid below for more detailed prices. 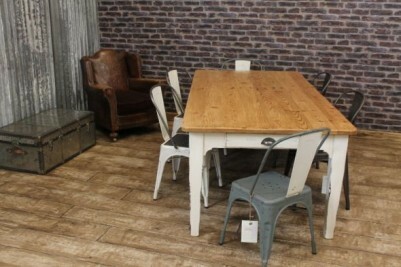 Please note, this listing includes generic photographs that are for illustrative purposes only. 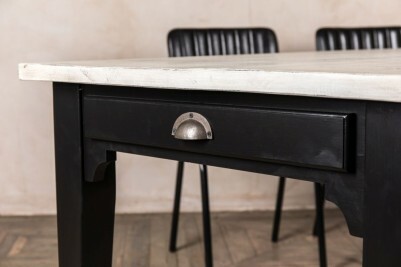 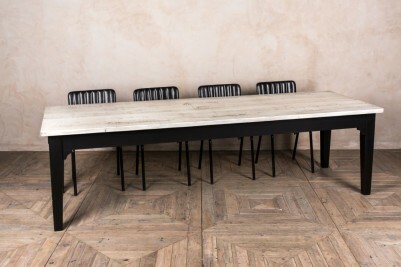 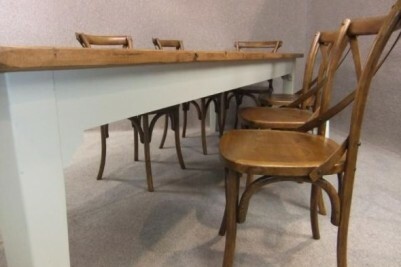 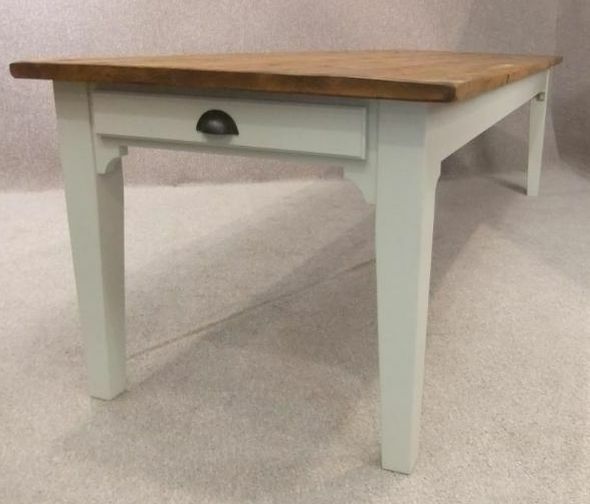 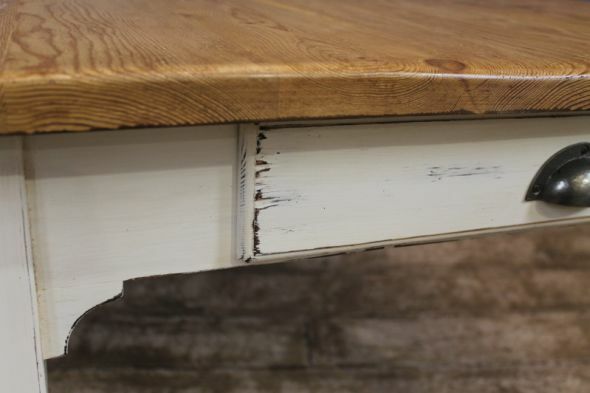 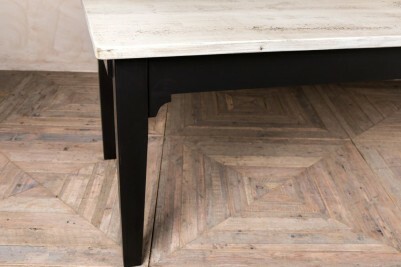 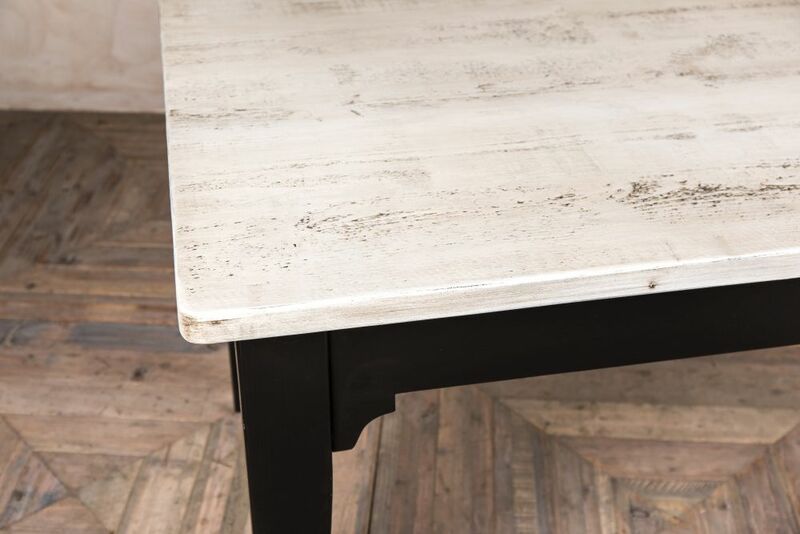 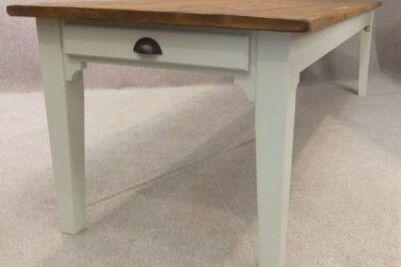 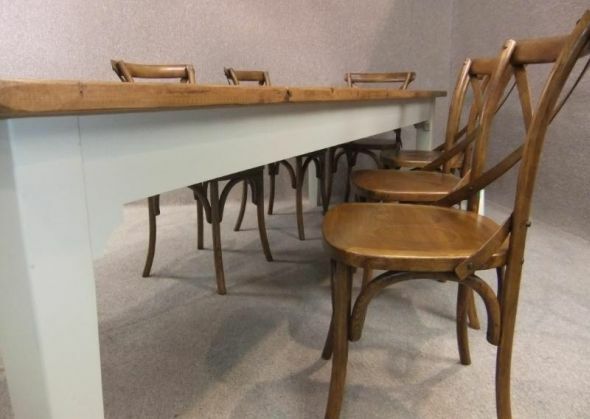 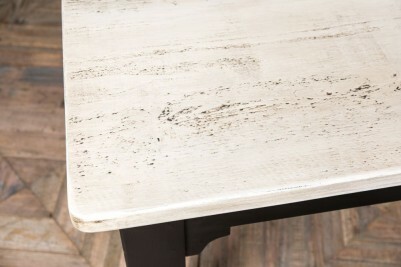 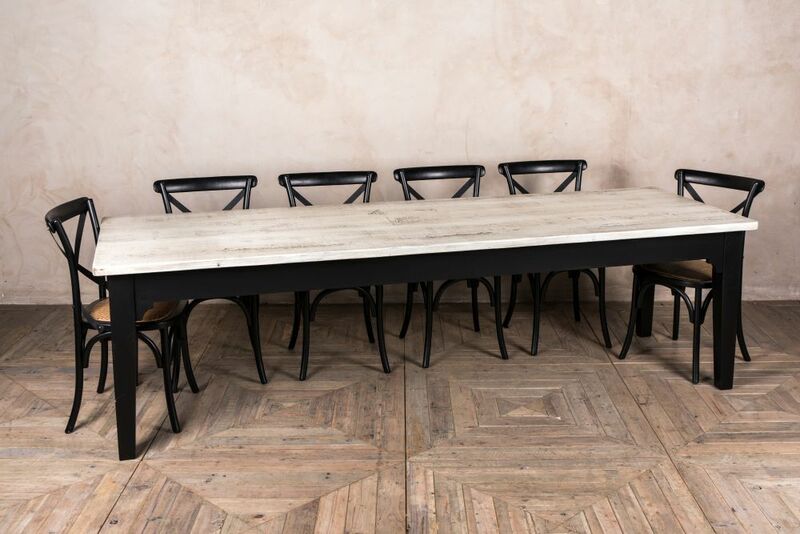 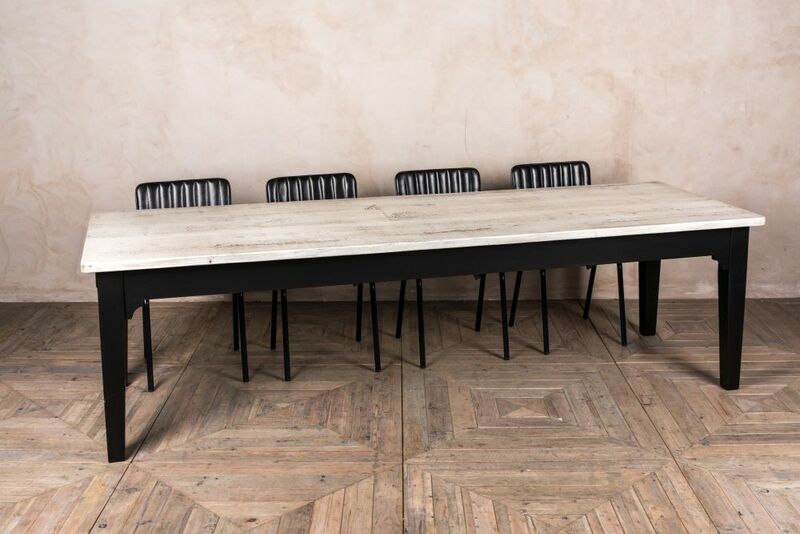 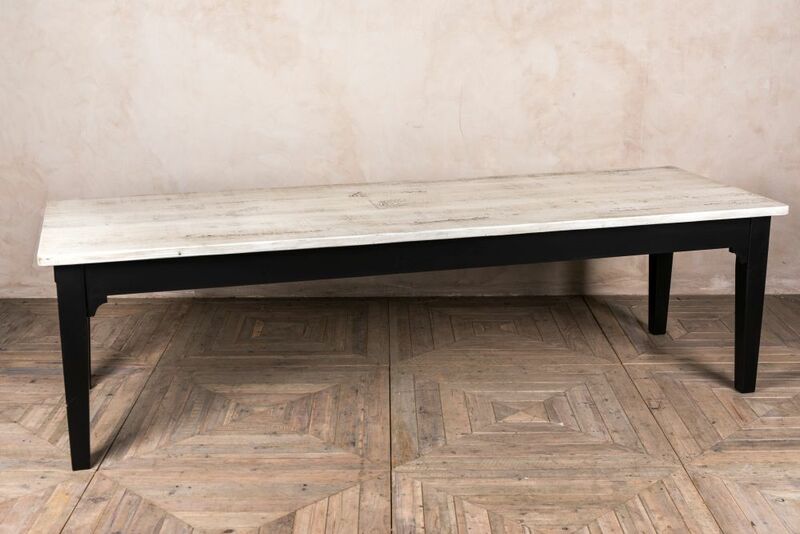 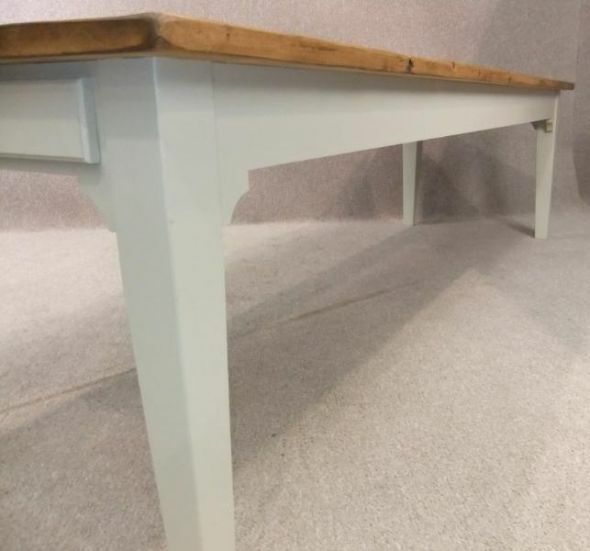 As this farmhouse table is made from recycled material, there will be slight colour variations, knocks, marks, and blemishes which add to the character of these magnificent handmade tables. 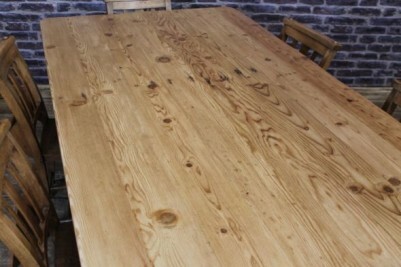 The thickness of the table top may also vary. 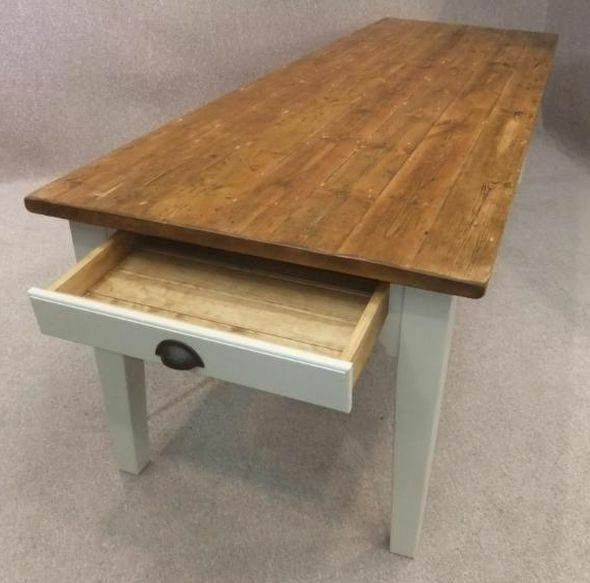 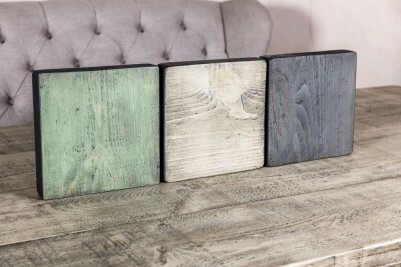 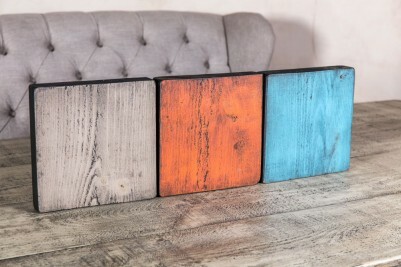 Please note, the prices that are stated are for the standard size, and without drawers; all sizes are approximate due to size of the reclaimed timber. 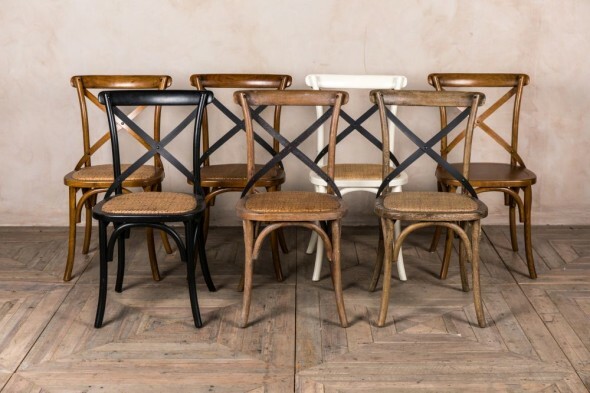 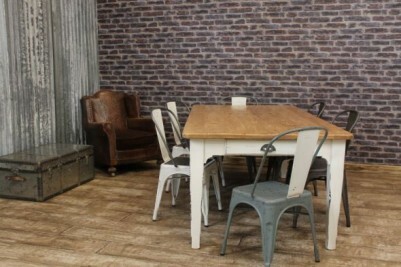 The 'Bentwood' chairs are not included in the listing but can be purchased separately.